Story and photos by Adam Sawyer. 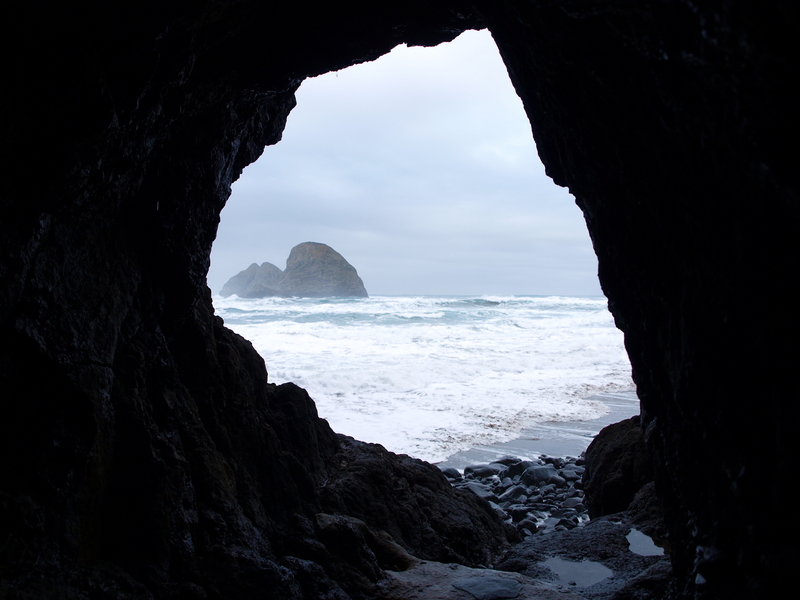 The following is a feature I wrote about the Three Capes Scenic Loop Drive for the 2013 Tillamook Area Visitor’s Guide. You can find out more about Tillamook County by picking up the free guide or visiting gotillamook.com. I’m certainly no stranger to the Oregon Coast. 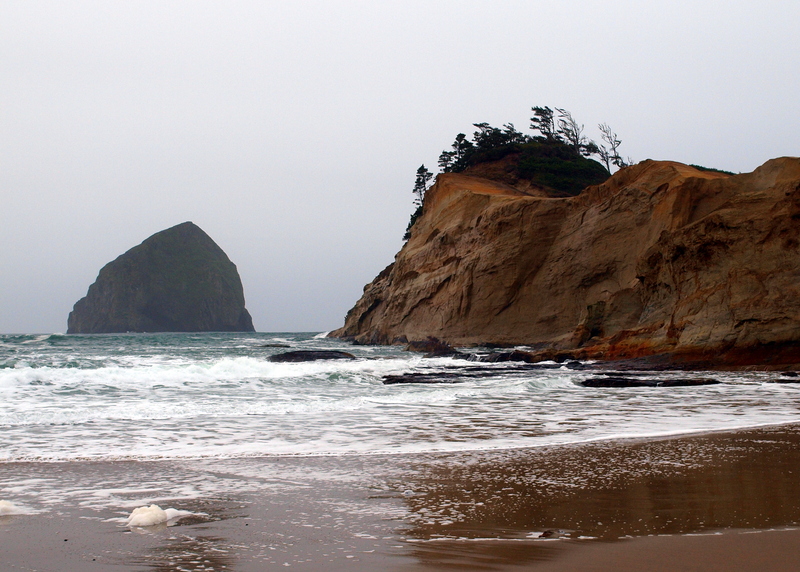 Living in Portland, I’ve had many an occasion when a trip to the coast was just what the Doctor ordered. That being said, I had never taken the Three Capes Scenic Loop drive. I’ve enjoyed many of its highlights individually, but until recently never took the time to take it in as its own adventure; to appreciate its merits as an experience unto itself. The loop is a 40-mile Scenic Byway that can take you anywhere from a handful of hours to a handful of lifetimes to explore. The drive is of course, scenic, and well worth an extended day long, or multi-day, trip just to drive it. But the real beauty of the loop is exposed when you park the car and explore some of the features along the way. These natural and man-made wonders dot the loop and anyone you talk to along the way is more than happy to share their favorites. The fact that it’s a loop means you can tailor your journey to start anywhere along the route and go in one of two directions; which is helpful. We decided to leave Tillamook heading south along the 101. It didn’t take long before we arrived at our first stop, Munson Creek Falls State Park. If ever there was a leg-stretch of less than a mile worth taking, this is it. 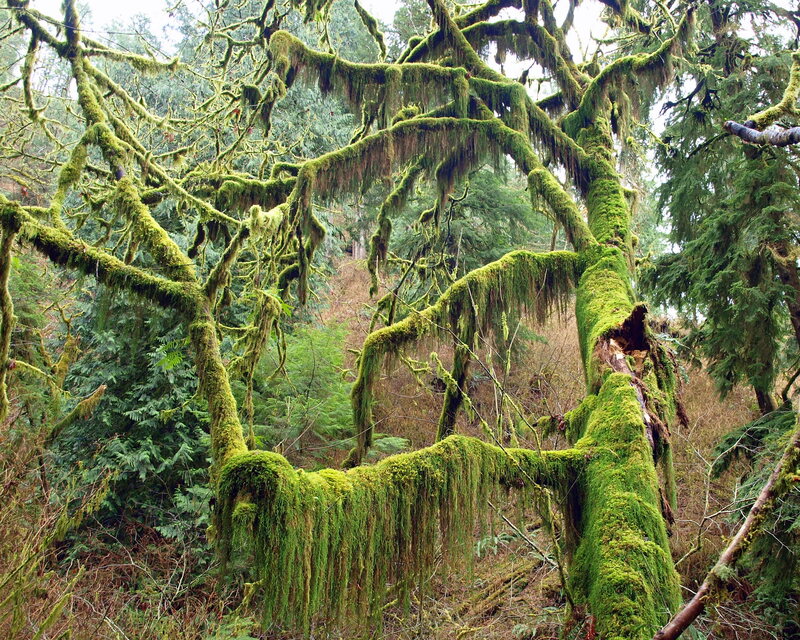 From the trailhead, the short stroll to Munson Creek Falls is set amongst massive old-growth western red cedars and Sitka spruce that literally drip with moss and lichen. The falls are 319 feet of three-tiered, awe-inspiring, cascade goodness. They are the tallest in the Coast Range and perhaps the tallest in the state west of the Willamette River. Completely amped from that little diversion, we got back in the car and preceded south through farmlands and the small towns of Beaver, Hebo, and Cloverdale. Along the way we were treated to sightings of blue heron, peregrine falcon, and even a juvenile bald eagle, before arriving at the Nestucca Bay National Wildlife Refuge. If you consider wildlife viewing or sweeping ocean vistas enticing in the slightest, the Nestucca Bay National Wildlife Refuge should occupy a spot on your dance card. The Refuge supports several subspecies of geese including the world’s population of Semidi Islands Aleutian Canada geese. 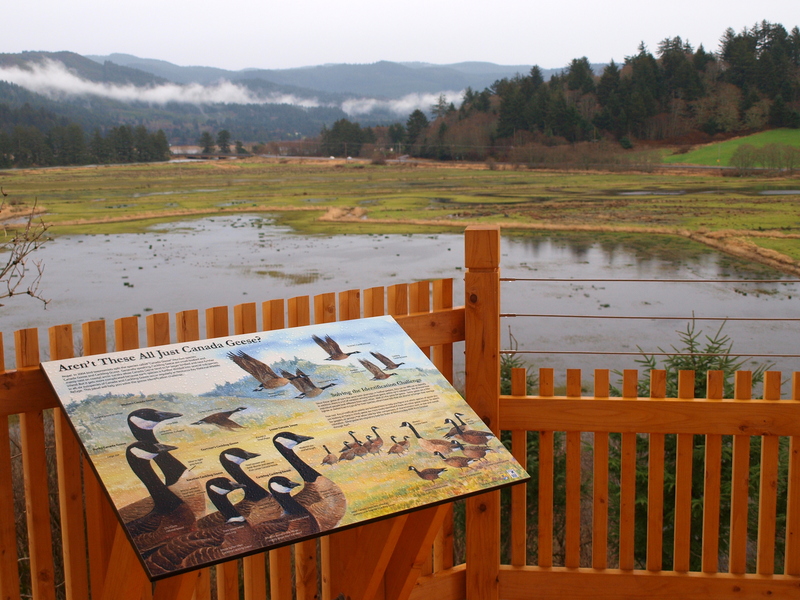 Viewing platforms and a short trail also provide visitors with potential glimpses of a wide array of wildlife, as well as Haystack Rock, Cape Kiwanda, and the Bob Straub State Park, our next destination. At the Bob Straub State Park a pair of wonderful family-friendly hiking trails show off the beauty of the Pacific Ocean as well as the Nestucca River. Legendarily large Chinook salmon and harbor seals are commonly seen near the mouth of the Nestucca spit. Lunch was now on the agenda and Pacific City was a fine choice. We parked at Cape Kiwanda and first made our way down to the beach to take pictures of the Oregon Coast’s lesser known, albeit larger, Haystack Rock. We then ascended the sand dunes of Cape Kiwanda and watched as the tide assaulted the Cape in a combination of picture-worthy patterns. We bounced down the sand dunes and entered the Pelican Pub & Brewery for lunch proper. The award-winning beer of the Pelican is a draw for many, but the “beer cuisine” that was born there is its own draw. Now paralleling the Pacific Ocean as we drove north, we were treated to a series of beautiful views before stopping at the Clay Myers State Natural Area at Whalen Island. This was special. Prior to stopping there, I had never heard of the place. But with the embarrassment of natural riches the Oregon Coast harbors, it’s understandable that a place like this might fly under the radar from time to time. A remarkable trail carves a path through a lush coastal estuarine ecosystem comprised of mixed woodlands, grasslands, fresh and saltwater wetlands, and a rare native dune sedgeland. My only regret here was not scheduling in enough time to hike every inch of the trail system. Completely amazed by the unique Natural Area, we traded smiles, made plans to return, and loaded back into the car to continue up the coast. The route, now beautifully narrowed by encroaching old-growth trees, climbed into the Cape Lookout State Park. Here, yet another set of trails travels more than 8 miles through the popular campground and day-use area. Views abound, including the one from Anderson’s Viewpoint which looked down upon Netarts Bay and our home for the evening, the Cape Lookout Bed & Breakfast. Katie and Jim, owners of the Cape Lookout Bed & Breakfast, gave us a tour of the lovingly maintained property that they call their home. Jim, a Chef by trade, turned his full attention to the B&B when business became so robust that Katie could no longer keep up alone. We all benefited from that decision. 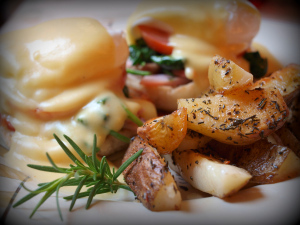 The breakfast end of a B&B doesn’t get much better than what we had the next morning; a complete four course meal that concluded with a smoked local ham, garden-fresh wilted spinach, and grilled tomato Benedict with rosemary roasted potatoes. Well rested and very well fed, we continued our journey up the coast to the town of Oceanside. The charming town boasts some wonderful dining options, but at that moment we were quite taken care of in that department. Instead we were there to photograph the Three Arch Rocks and visit something that Jim had told us about just that morning, a tunnel. A short walk along the beach that leaves from the Oceanside Beach State Recreation Site leads to a tunnel that goes through Maxwell Point and leads to the aptly named Tunnel Beach. Constructed by the Rosenberg family in 1926, the tunnel is still passable when the tide is low enough. Our timing was perfect that day as we managed to make it to the tunnel, snap some pictures, and made our way back to the beach as the tide was beginning to lap at our heels. We spent a short time in the car excitedly reviewing our pictures before heading to one of my personal favorite spots on the coast, Cape Meares. More trails, more life-affirming views, and even a lighthouse are all great reasons to stop here. 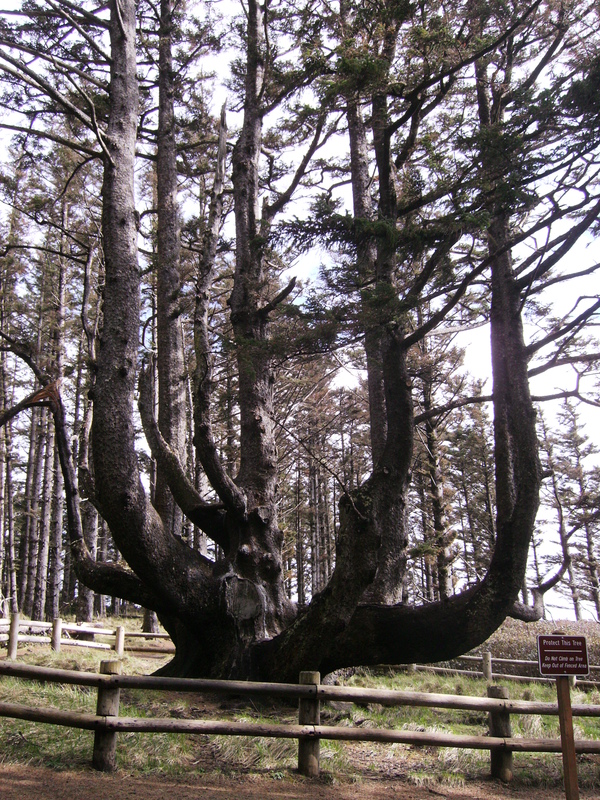 But in addition to the lighthouse, Cape Meares has something else that won’t be found at any other stop along the loop, the Octopus Tree! The giant, multi-trunked Sitka spruce remains a bit of a mystery. Scientists aren’t completely sure why the tree formed in such a way, but wind, insects, and one particular Native American legend have all been offered up as probable causes. With the last of the Capes under our belt, it was time to finish off the loop, but not before a quick stop at the Bayocean Peninsula County Park for our last chance to take in ocean views. Back on the road, the final stretch along Bayocean Road that leads into Tillamook is inspiring yet serene; a wonderful way to end our drive. For me, the Three Capes Scenic Loop begs to be explored in every season, which I plan on doing. The main theme is the scenic drive, but it’s the stops along the way that made the experience. The food, the lodging, and the natural beauty we were able to take in by foot, the history, and the people we met along the way, all make the Three Capes Scenic Loop greater than the sum of its parts. To read more of Adam’s adventures in Oregon, Click Here!